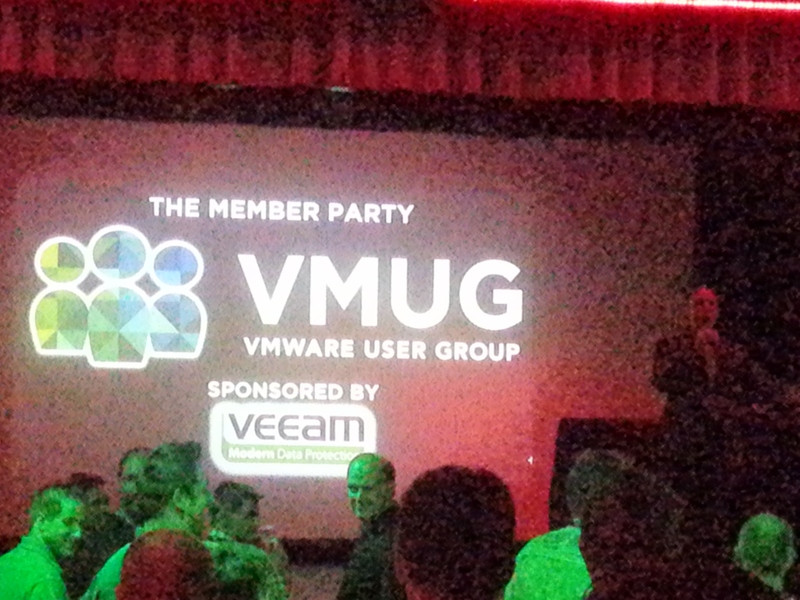 So I’ve just got back to my hotel after the VMUG party (sponsored by Veeam)… It was nice to catch up with people from the VMware community…. even more impressive to see some top guys in VMware pop down to mingle with us lesser folks….. (recognised @CColotti, amongst others). Anyways, so there wasn’t anything really new that I’m allowed to mention that came out of Partner Day…. I was told it would be quite sales-y and some of the sessions would be non-technical, and it turns out that the sessions I went to didn’t tell me anything I didn’t already know! 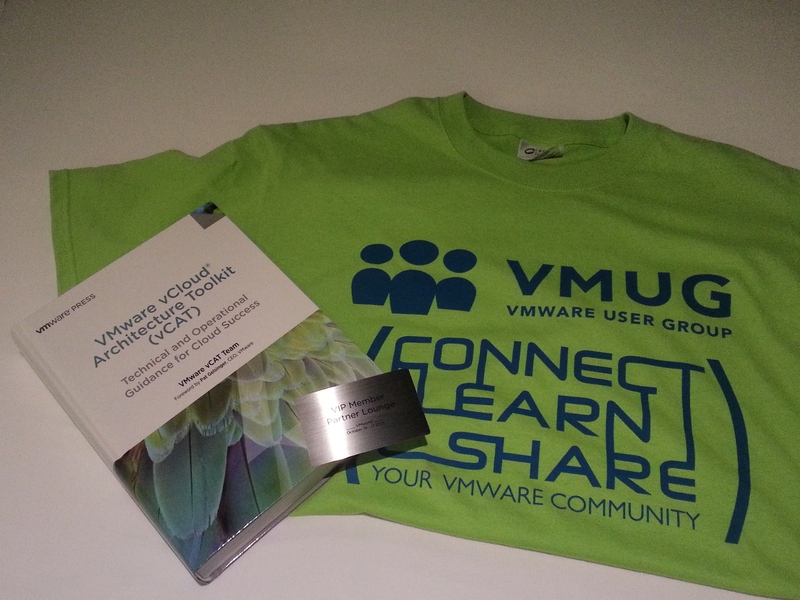 I of course picked up my VMUG t-shirt (which I’ll be wearing tomorrow!) as well as the swanky brushed aluminium VIP pass to the Partner Lounge….. And having browsed through the VMware store this morning, the only thing that caught my eye was the vCAT book (which I’m looking forward to reading). I guess the real bulk of the new knowledge will be coming out tomorrow, and as it’s going to be an early start (and a long day) I’m not really going to blog much!